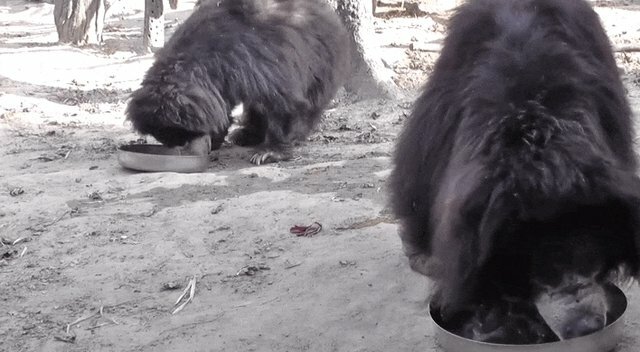 As police closed in on the people forcing Suma to dance on the streets of Nepal, her captors fled, carelessly leaving the abused sloth bear tied to a tree in the hot sun. 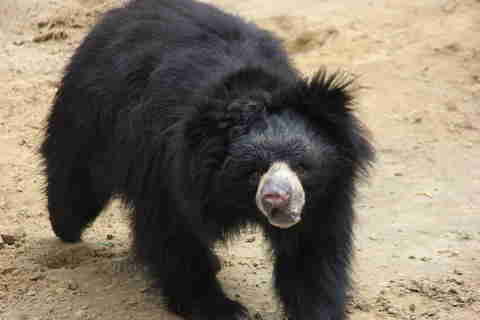 Rescuers from International Animal Rescue (IAR) brought Suma to the group's Agra Bear Rescue Center, a sanctuary for sloth bears like Suma. But Suma was in terrible shape. 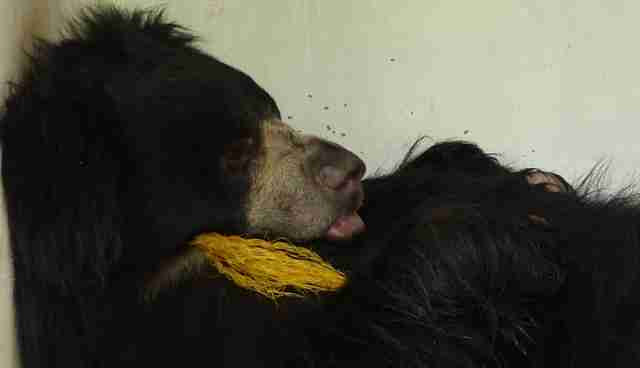 "Our rescue team found her with bleeding claws, broken teeth and a pierced muzzle oozing with pus," IAR wrote on its website. "A coarse piece of ragged yellow rope had been pushed through the open wound in her nose. 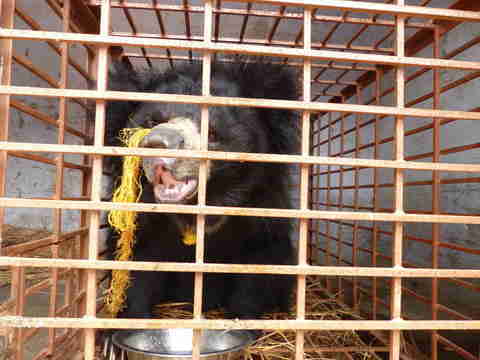 It had been used by her captors to force her onto her hind legs and make her 'perform' as a dancing bear." 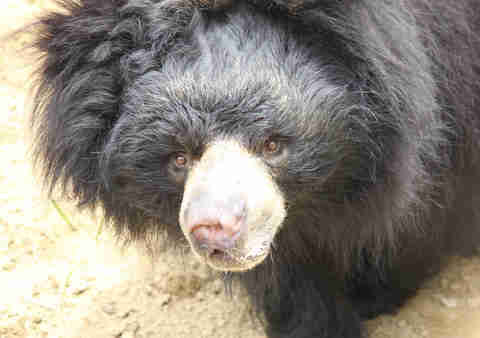 But a year in the bear sanctuary has worked wonders for Suma, who is now 5 years old and happily learning to trust again. 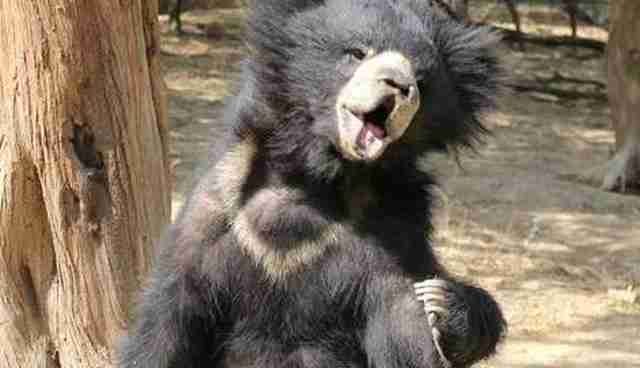 "Suma took a long time to heal and to make friends with the other bears at her new home," Wildlife SOS, a partner of IAR, wrote on Facebook this week, in a post commemorating Suma's year of recovery. "After the untiring efforts of our caring staff, today we happily celebrate the first anniversary of Suma's freedom with us." 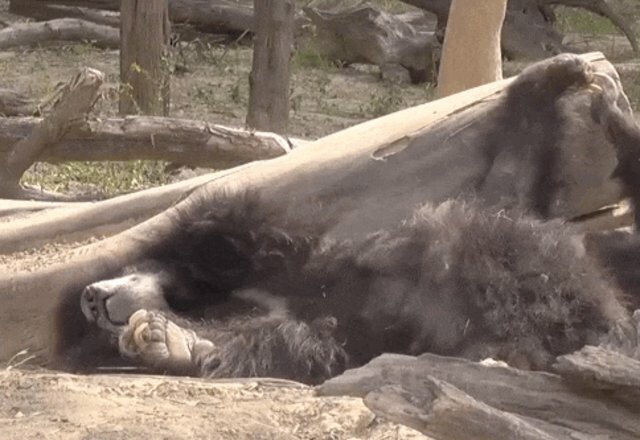 Suma now enjoys rest and relaxation at the sanctuary. She especially loves eating fresh fruit with her friends. "What a truly amazing recovery," IAR wrote.